It's kind of fun to see MMORPG's that let you do a lot of stuff with the environment. Sometimes I get frustrated when I can't break down an entire house with the super powerful epic rare item I've got. It just doesn't make sense sometimes. Anyways, it looks like EverQuest Next will let me destroy my surrounding anytime I want to assuming the demo trailer is correct. I'd probably spend hours on the game just figuring out what other stuff I can destroy besides my enemies. Speaking of enemies and bosses aside from the epic boss battles that look gorgeous it looks like they can also destroy anything too. 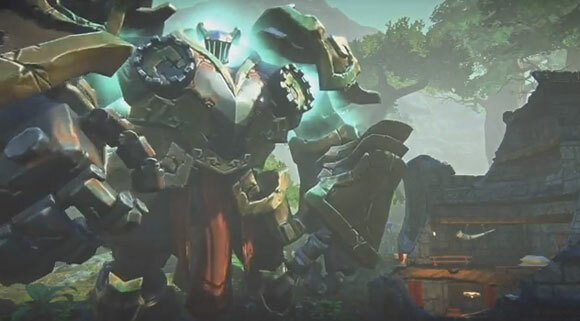 Anyways, just go ahead and watch the trailer for EverQuest Next and see if it's something that you might want to play after grinding it out on DOTA 2 or LoL.